Indian Flag has its own specialty and meaning behind its design and colors. Do you want to know about the design and meaning of it? Let’s read out the information given below. The proud of each Indian is a symbol of our democracy and republic of India. Our flag is a symbol of a country that every Indian salutes. Here is the history behind the design of Indian Flag. Design of Indian Flag: The current Indian flag came into existence in 1947, July 22nd. The Pingali Venkaya designed flag and it was adopted in an ad hoc constituent meeting. Three colors are used for our Indian Flag and each color has its own specialty and meaning.Saffron colors is used on the top, white is in the middle and green at the bottom. Moreover, there is a navy blue ashok chakra at the middle of white part of flag which has 24 spokes. Meaning of Saffron Color:Saffron color is the symbol of spirituality. 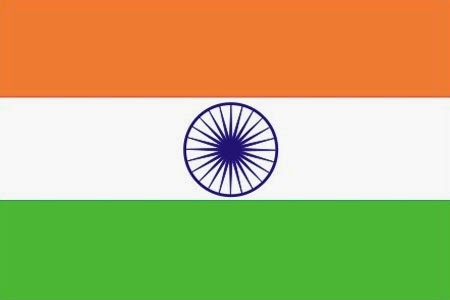 This color is used by the saints and it also represents adhyatm of India.In Indian flag this color indicates strength and power to be utilized the people in India. Meaning of White Color: White color in flag indicates Purity, truth, and peace.Some says that white color represents the light of truth and caters to the right way to accomplish the way of truth and peace.White color of Indian flag signifies harmony among all the diversities. Meaning of Green Color:Green color represents profusion. It indicates Indian agriculture, History, people, and culture.Moreover, it suggests an essential relation between the people of India and soil & environment of India.In the Indian flag green symbolizes productiveness and wealth. Apart from this, the Tri-color flag, Tiranga has its own importance. Our own freedom fighters fought for freedom from biritish rule and devoted their life for "Tiranga". We all should respect the tricolor and should not let down the importance of Tri-color flag. We used to see that around Independence day and republic day, people use Plastic Flags and throw it on roads after the ceremony over or next day. We should stop this thing, this is show how much we respect to our Tiranga. Please, please respect the Indian Flag and maintain its respect. Jai Hind. Isn’t it great? We have a best design and meaning of Indian flag and proud to be an Indian!